Shoebox Project for Shelters (USA) hasn't added a story. The Shoebox Project is a rapidly-growing national 501(c)3 charity that collects and distributes gift-filled Shoeboxes to women impacted by homelessness across USA. A Shoebox gift is a powerful reminder for a woman in crisis that she is valuable, worthy, and that someone in her community is thinking of her. We are growing fast and need your help to provide gifts of warmth, solidarity and love to more women than ever before. Even a small contribution makes a big impact to an organization of our size! There's no time to wait! The first 30 donors of $100 or more will receive a gold heart pendant courtesy of Mini Mini Jewels! 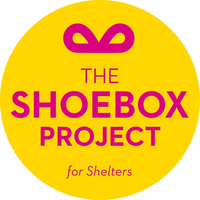 Shoebox Project for Shelters (USA) hasn't posted any updates yet. Shoebox Project for Shelters (USA) is managing the funds for this campaign. 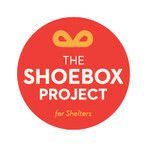 Shoebox Project for Shelters (USA) is a verified organization.